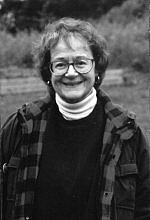 She has been writing juvenile and adult fiction since 1978, with her first book published in 1984. Her work has been published in ten countries and in seven languages. After living in Ontario for over twenty-five years, Budge returned to Nova Scotia in 1989, and live in a small fishing village on the South Shore of the province. Budge Wilson is currently considered a "single author." If one or more works are by a distinct, homonymous authors, go ahead and split the author. Budge Wilson is composed of 2 names. You can examine and separate out names.